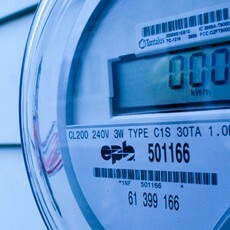 The global smart meter industry shipped nearly 7 million meters in the first quarter of 2012, with shipments up 28.8 percent year over year, according to IDC Energy Insights’ latest Worldwide Quarterly Smart Meter Tracker. Further, shipments are projected to grow 111.3 percent on an annual basis from 2011 to the end of 2012. However, while growth in smart metering will continue to surge as utilities around the world replace aging, outdated, or non-existent infrastructure, obstacles remain in the path towards the universal adoption of smart metering, according to the tracker. First, the business case for advanced metering infrastructure (AMI) is ultimately dependent upon a functioning market for electricity. In some areas, for example, the deregulation of the last 40 years has removed factors that serve as drivers for AMI for more vertically integrated utilities. Another challenge has been the slow evolution of AMI communications and security specifications by utility regulators. A smart metering system represents a large investment for any utility and utilities are understandably reluctant to deploy a system that may not meet future specifications. Despite these challenges, smart meters have transformed the utility industry in the last 10 years. As local markets continue to experiment and develop experience with AMI, the global metering market is approaching an inflection point along the AMI adoption curve. “Smart meters are no longer a matter of ‘if’ but a question of ‘when’ and ‘what form,’” commented Dean Chuang, senior research analyst with IDC Energy Insights. This evolving smart metering marketplace is reflected in that as the industry has matured in the last decade, smart metering and communications technology has grown far beyond the original application of fixed PLC and RF networks on solid state meters. According to the tracker in Q1 2012 half of the shipments were with RF mesh communication, a third with PLC, and 6 percent with cellular (and 10 percent ‘other’). From a hardware perspective, cabinet and pole-mounted systems, communications hubs, and prepay have all become viable local specifications.